Admittedly, I'm a sucker for underwater photography when it's done well, so I find this Alice in Waterland portfolio enchanting. Just when you think the Alice in Wonderland theme has been done to death, someone comes up with a creative new twist. 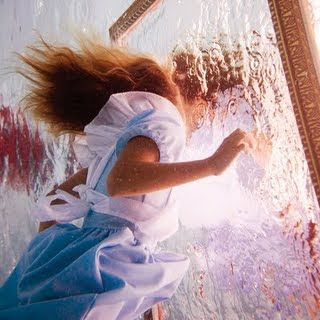 Photographer Elena Kalis uses her children and friends as models, and her daughter makes an ideal Alice. Oh, and the Alice series is still in progress, so we may soon see even more of Kalis' excellent work.